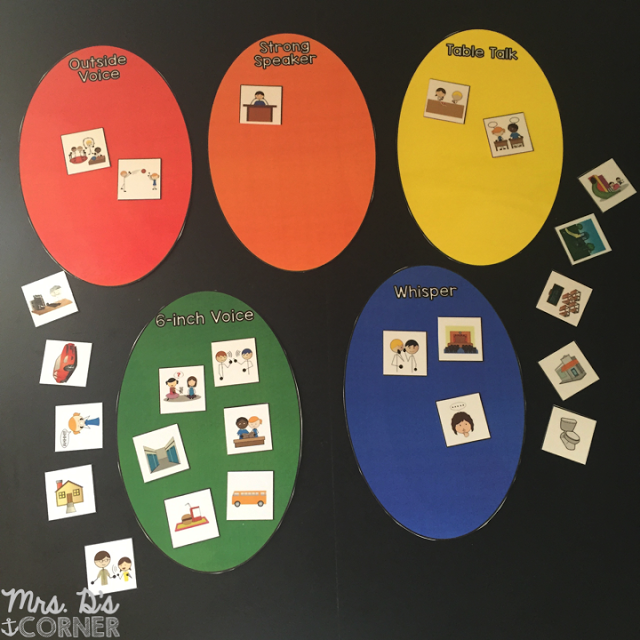 Teaching social skills in any classroom is a must. How to do certain life skills tasks, like washing your hands, how to share, and how to use your inside voice. Ohhh. That last one! Using your inside voice. 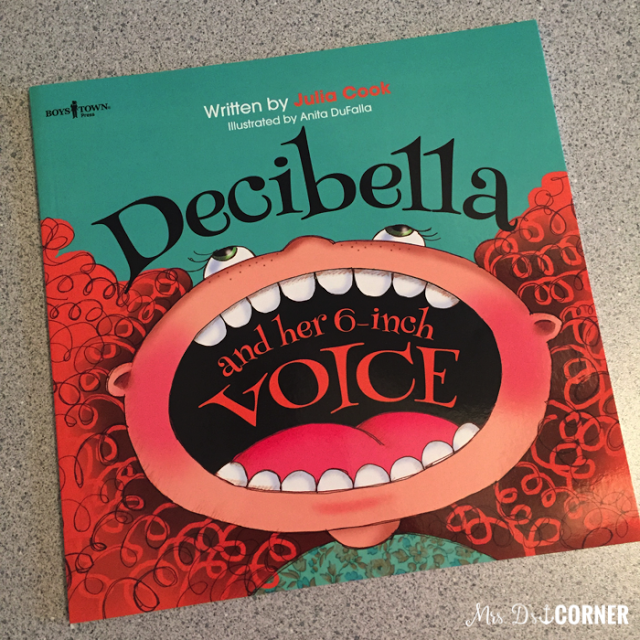 This month I am sharing with you one of my absolute favorite Julia Cook books… Decibella and her 6-inch voice. One great thing about the huge online teacher community is how many amazing people I’ve met. If it weren’t for a group of special education teachers, I never would have found this book to use with my little friends. 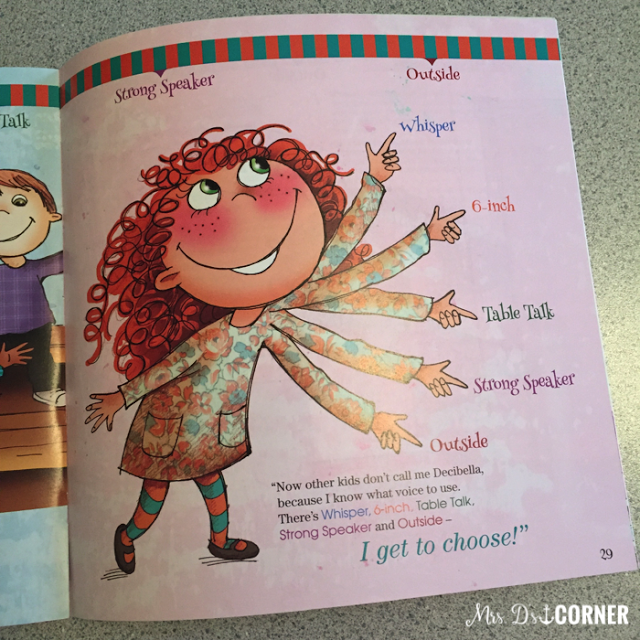 Decibella and Her 6-Inch Voice is the story of a girl, Decibella, who likes to shout out her feelings and thoughts. 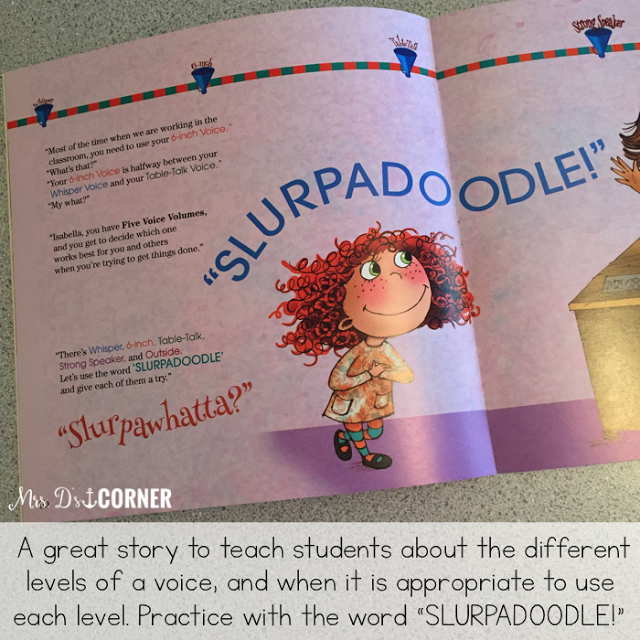 Throughout the story, Decibella learns about the “5 volumes” and how to use the different voices in different situations. It’s a great story to use when teaching about social emotional situations, especially to our friends with special needs! Social stories are something that my classroom library lacked last school year. I actually just purchased this book to use during the first month of school, so I’m going to share with you how I’m going to use it with my friends. 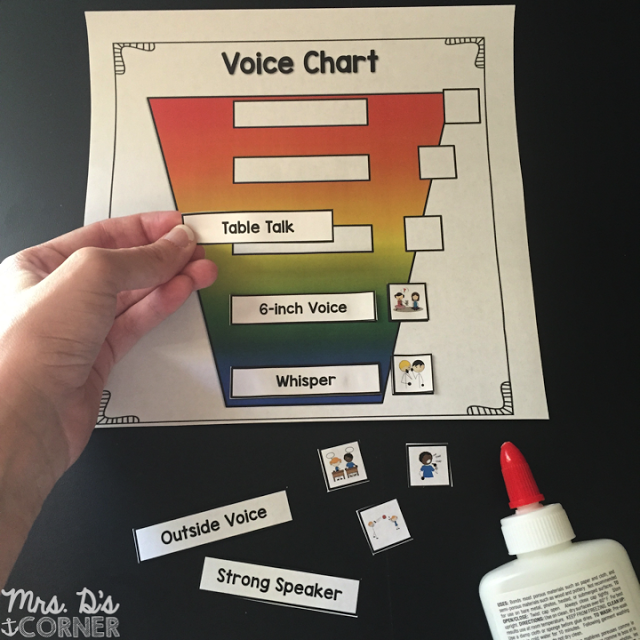 The first thing we will do is talk about Our Voice and use the Voice Chart to discuss when certain situations allow for our vocal volume to change. 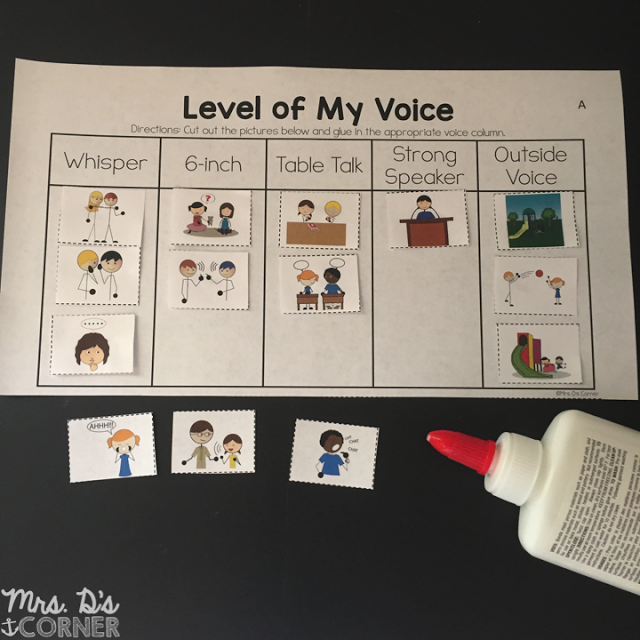 The kids will be able to cut and paste the different levels of their voice, along with matching pictures. For my higher level students, I will let them write the levels in the boxes and draw their own picture to match the different levels. After we talk about Our Voice and its volume levels, we will use the clip cards to choose which vocal level is appropriate for the situation / picture shown. 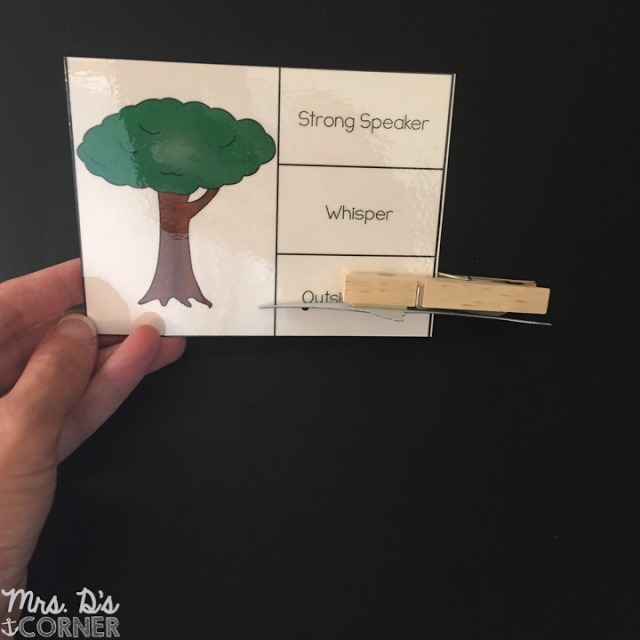 For my students with fine motor skill deficits, they will use clothespins to choose the appropriate volume. 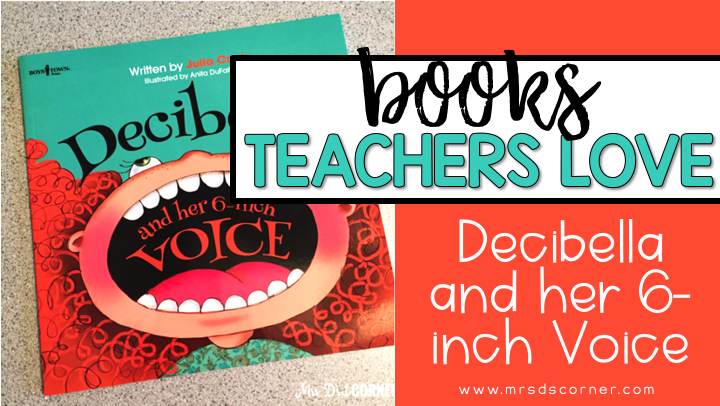 Some of my other students will use dry erase markers and circle the appropriate volume of voice. Laminating these cards will really help with this! Next, we will start sorting situations based on the Level of My Voice. 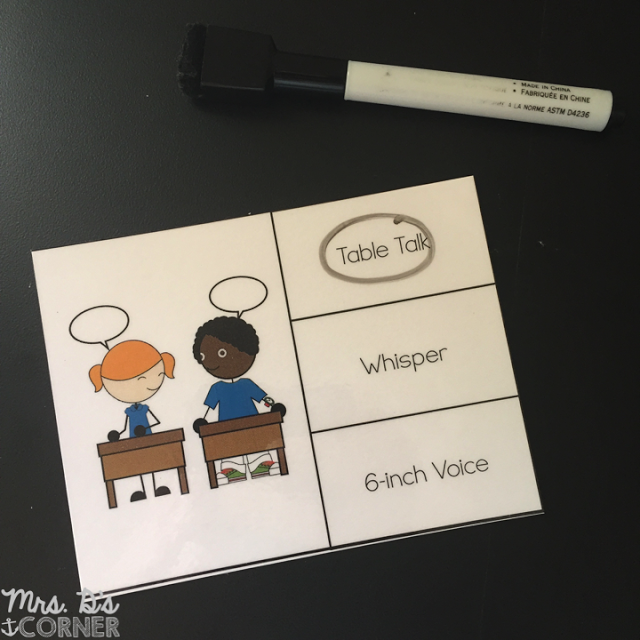 This one is great because there is a version A and a version B, and I plan on laminating them and adding Velcro so we can use them all year. You never know when you’ll need to pull the book back out again! 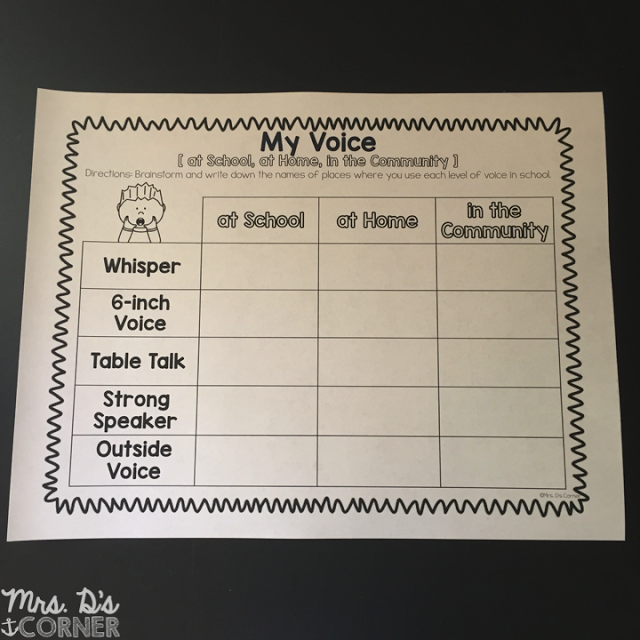 This is one of my favorites because it asks the students to brainstorm their own scenarios for using their voice at school, at home, and in the community. It will really get them thinking about their behaviors in the 3 different places… in real life. Even better is that I can send it home and their parents can discuss their choices at home too. We are a team! Last, but certainly not least, and my most favorite part of this book companion is the craftivity to finish off the lesson. 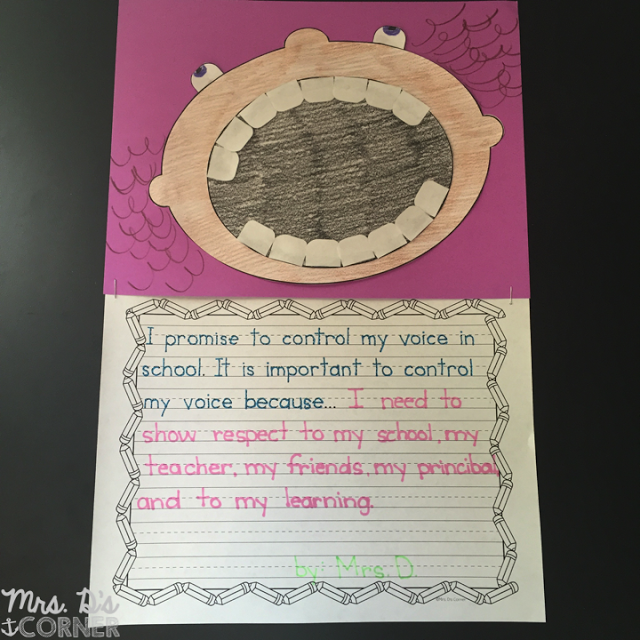 The students will each make their own version of Decibella and then write a promise to control their voice in school. I’ll use their finished products to create a bulletin board outside of our classroom. Oh my goodness, I LOVE Julie Cook!! How did I not know about this book!? OMG this book is adorable. I am definitely adding this to my wish list just in case I have someone who needs a little more coaching on voice level. In my class, we use a phrase called "teeny tiny voice" and we tap our neck near the Adam's Apple as a visual reminder when using this phrase. When I teach my kids about this voice level in the beginning of the year, I have them rest their hand on the front of their neck so they can feel the vibrations that their vocal cords make. When using your "teeny tiny voice" there are absolutely no vibrations produced. They are in absolute awe and it really sticks with them!